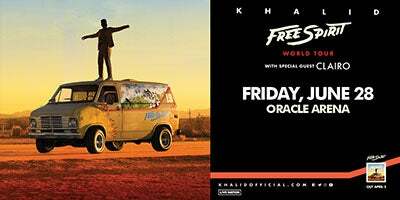 Multi-platinum global superstar Khalid has announced his North American headline dates for "Khalid Free Spirit World Tour" in support of his upcoming sophomore album "Free Spirit" - available for pre-order via Right Hand Music Group / RCA Records. Produced by Live Nation, the North American tour includes a stop at Oracle Arena on Friday, June 28th in Oakland. 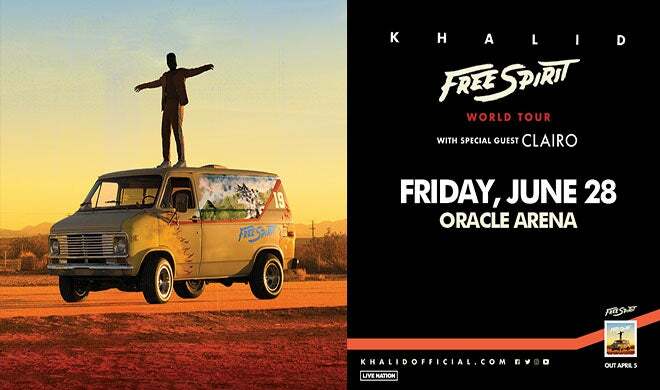 Khalid has enlisted friend Clairo, the 20-year-old "Pretty Girl" singer-songwriter, to appear as special guest on his summer tour.